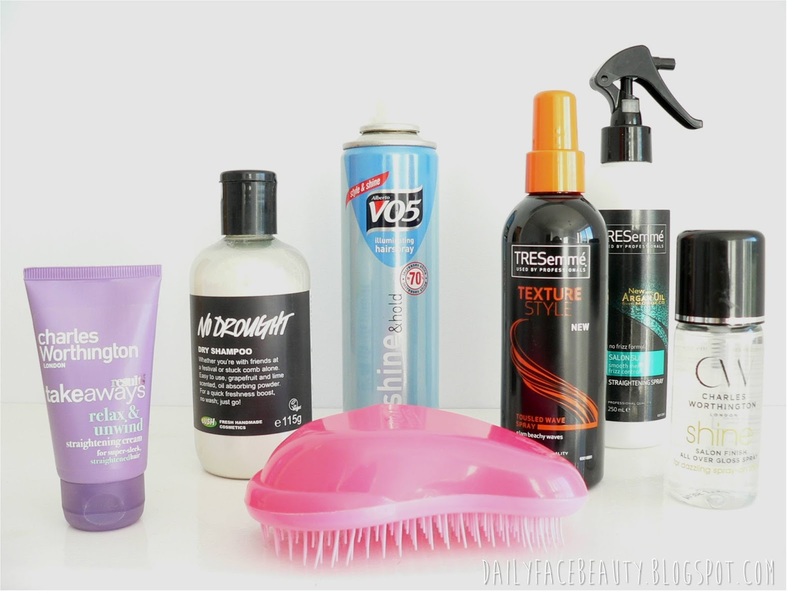 I have so many bottles of different products lying about that I thought I would show you a few of my favourites. First up is the Charles Worthington Relax and Unwind straightening cream. I have had this products for a very long time so I suspect the packaging may have change a bit. Anyways, if I intend on straightening my hair I always use a tiny blob of this and work it into damp hair. This product is lovely as it leaves your hair shiny and smooth without making it greasy which is great. Another Charles Worthington product I swear by is the shine spray. I first heard about this from Tanya Burr and I have to agree this stuff is great. I find this product works best after I have curled my hair as that can often make my hair look a bit on the dry side however a few sprays of this and "voila" shiny glossy curls. Before I apply any heat to my hair whatsoever I always use a heat defendant -I learnt from my mistakes of not using this when I was younger resulting in very damaged hair! The heat protector I like to use is Tresemme's Straightening Spray. The argan oil in this product makes my hair feel very nourished and tresemme is also very reasonably priced which is great as I am always repurchasing this product! A newer addition to my arsenal of haircare products is Tresemme’s tousled wave spray. 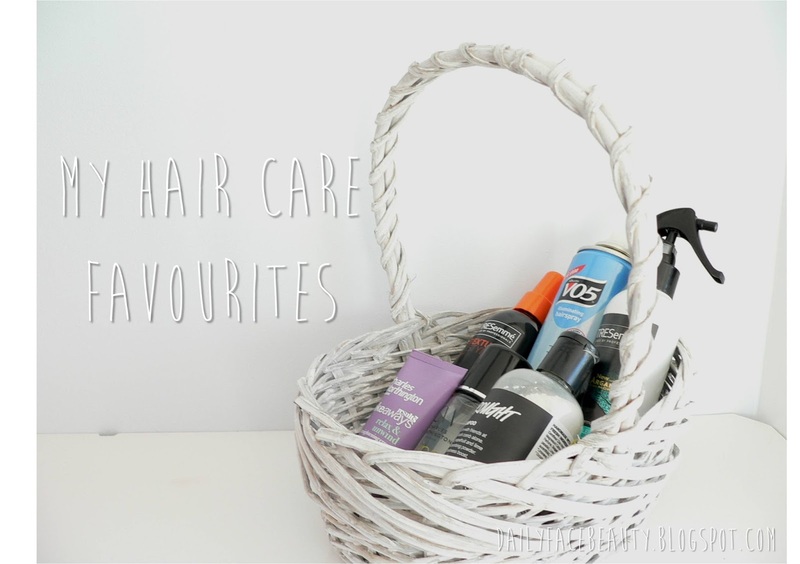 I like to use this on those lazy days cannot be bothered when I don’t have time to do my hair.A hairspray is always about in my hair care favourites however I am not fussy over which one as long as it does the job! I am also loving my tangle teezer as I find it is great on dry or damp hair getting out all of those pesky knots. And finally my last favourite is the good old LUSH No Drought Dry shampoo which I reviewed here. I can't go anywhere without my tangle teezer! great picks lovely!